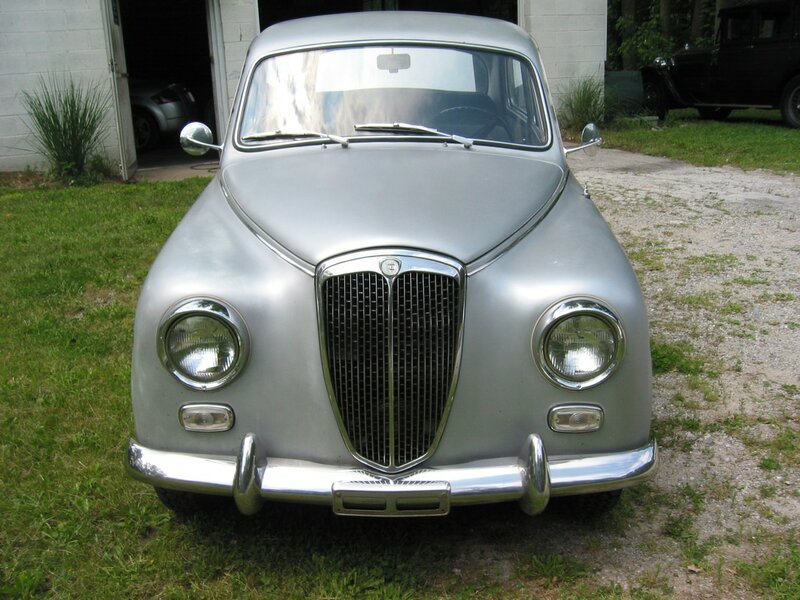 The Appia was in production from 1953 to 1963 (approx). Known for its strength, Appias have an ability to go on forever. It is significant as a small car (1100cc), that gets great mileage (around 30-35 mpg), capturing Lancia heritage in a simpler, more modest car, yet without compromise. The Appia is about unbridled quality without complexity. Its an Aurelia come down to earth. The Appia lacks little in sophistication or build quality, with simplicity and endurance as its main virtues. Something had to be done. The family needed a car with room for three. Our family had grown, as we had a new child, but sometimes things change differently than expected. As a youngster, I grew up around Lancias. My parents both had them. Friday nights were in the garage, listening to the sound of triple webers on a Zagato. Weekends were in machine shops, welding places, and the special parts of the city that spoke of cars, metals, and making. Those memories are hard to recover, and even harder to let go. Even now thirty years later, they seem like yesterday. Now armed with the excuse of a family, I started out for the holy grail of Lancias, a car to fit all needs: doesn't everyone need a family car? One evening, a chance look at the Lancia newsletter of the US club had some mention of an Appia sedan. The ad was brief, something about a series two sedan with low mileage. But the car was in Indianapolis, near Chicago, and of course, out of midwestern courtesy, I thought I would touch base with other Lanciste in the area. I had no real interest in the car, but wanted to say hello. I talked with Ben Richardson, who had placed the add on behalf of the cars owner. 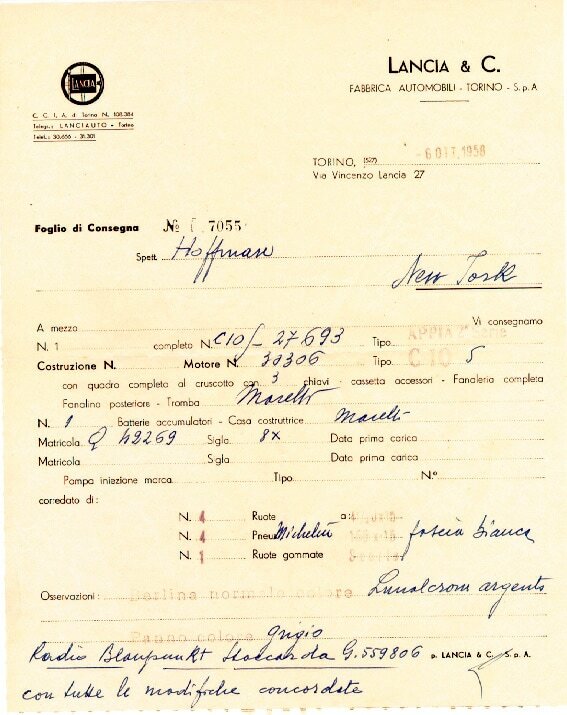 The car had belonged to Mr. Furman Stout, who had been into Lancia, and had a B20 in Indianapolis from 1954. 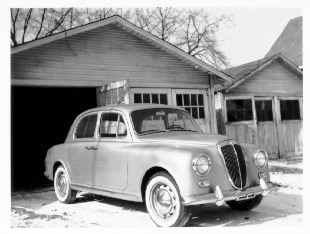 Ben got a Lancia too, and the two of them owned Aurelias and represented Lancia in the heartland, living near the Speedway. So what was the Appia? 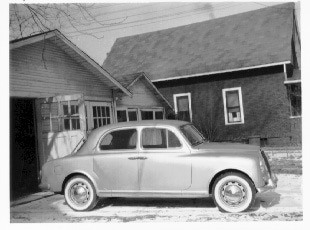 Mr. Stout had bought the Appia in 1959, had recently passed away and his daughter was now selling the car. The car was amazingly a one owner car. Truly. Not one of those "I'm the third or fourth owner, but one guy had it most of the time. ", but this one was a real time piece. I had heard of such stories, and even seen ads for "One owner cars", but never had seen one. Negotiations were gently done over the phone. My wife (with great understanding) pushed me over the edge - "Don't wait, nothing like this comes along twice It is a very special thing. Just go ahead, do it." Armed with the knowledge that we would stay happily married even with the Appia, negotiations were undertaken. 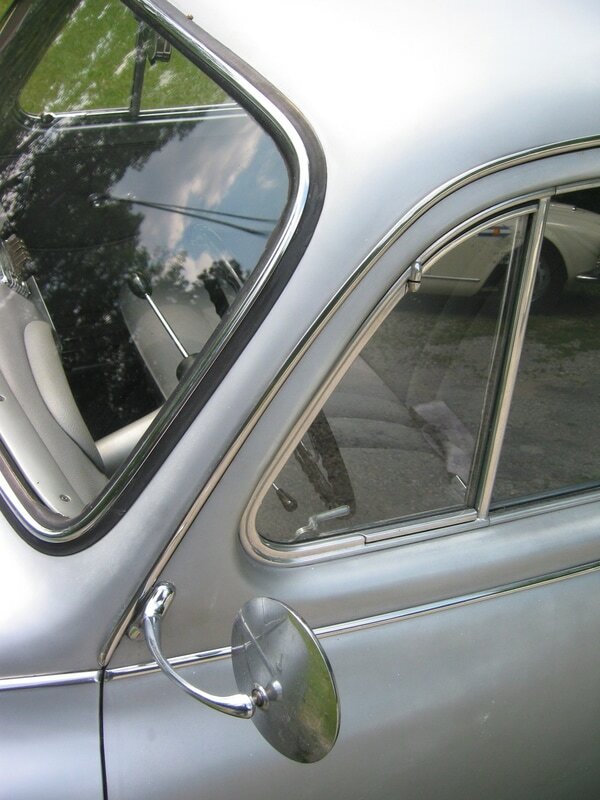 A price was agreed to, pending inspection, and a week later my family and I drove down. Driving through Indianapolis, going from one neighborhood to another, things looked worse and worse. Nerves were taut. Finally we arrived and in the garage in the back, under old cloths, there it was. Sort of plain, dirty, with a sense of dignity nonetheless, the Appia held its own. It projected an aura, as if to say, "Yes, I'm here, its about time you arrived." It knew that it held the upper hand. After a bit of fiddling, a new battery, checking fluids, and nudging a starter, the car fired right up. It ran. it braked. Air in the tires, injections of carb cleaner, and it ran rather smoothly. Just like the old days. I felt about 19 years old. Of course, we had to drive it home. After friendly discussions, our four month old son handed over the check, and bought his first car. So we packed up and started driving this 37 year-old car 70 mph on the interstate, back to Chicago. It seemed crazy, but once you had seen the car, it made all the sense in the world. It projected the Lancia aura without any concerns. It was a world of its own.